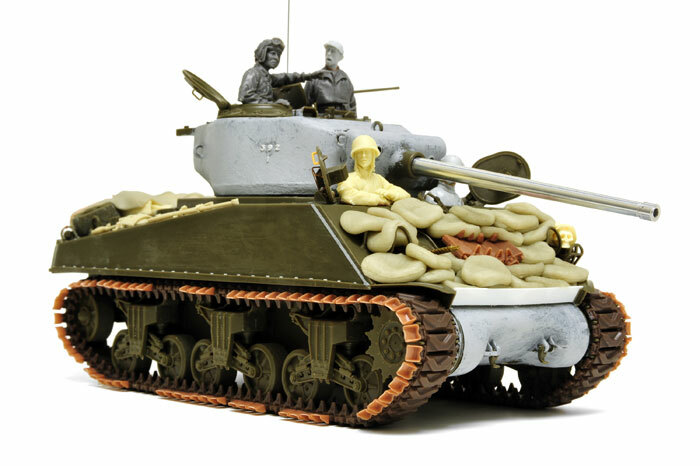 Here is Tasca's 1:35 scale M4A3(76)W Sherman, built by Sam Dwyer and painted by Brett Green. 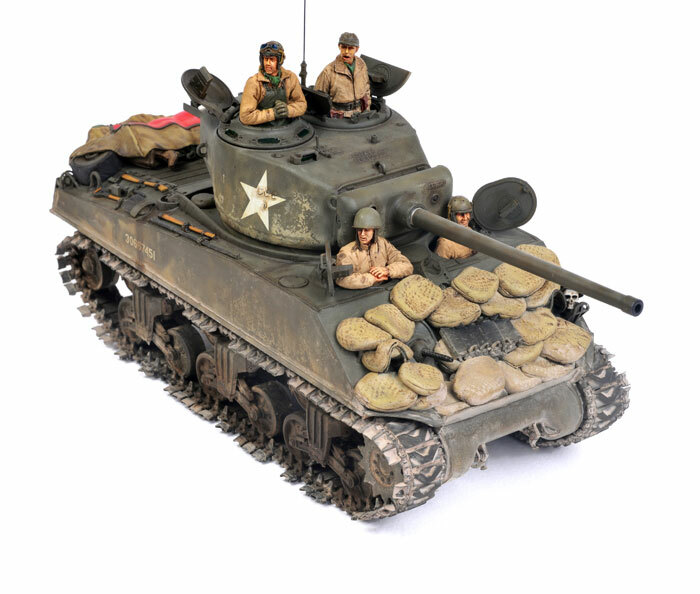 The model was detailed by Sam with scratch built sandbags and an ID panel, Formations resin tools, stowage and more. The figures were sourced from Alpine, S&T and Dust Models, customised to suit the vehicle. 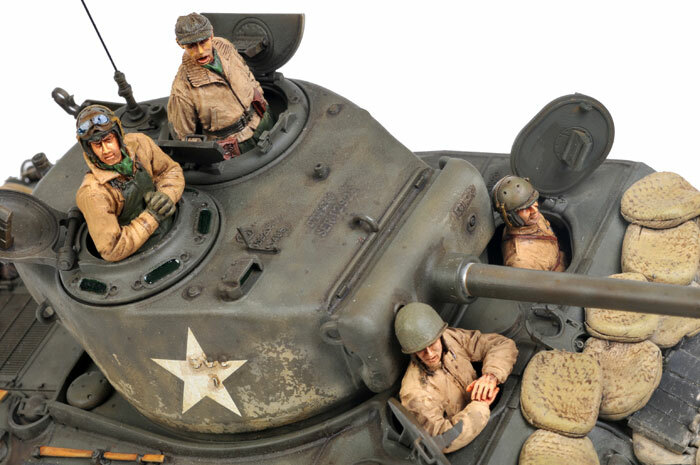 This model features in a detailed article in Issue 58 of Model Military International magazine, available next week in print or as an iPod / iPad App - just search for Tamiya in your iTunes App Store.